We follow the French brigade system - call it out! 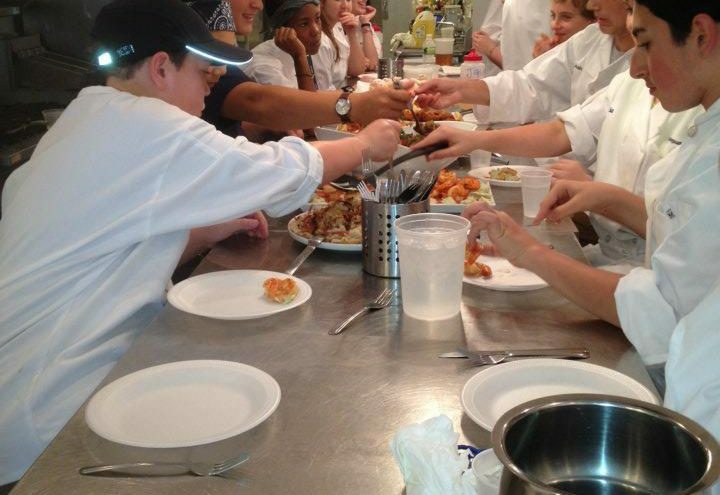 Lesson Plan: culinary summer camp high school students love! 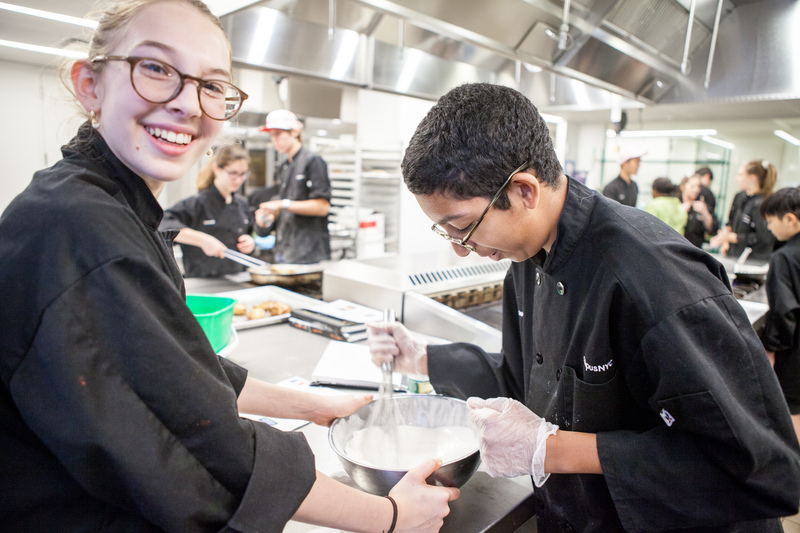 At campusNYC, all of our premier culinary summer camp high school students love the depth of recipes and the skills of the staff. Our program takes place in a professional teaching kitchen with high-end equipment. We combine our top-notch culinary instruction with restaurant tours and tastes, guided visits to specialty markets and stores, and event nights designed to show our students the best of NYC. Each day we create specific meals inspired by international cuisine, from Indian to Mexican food, a variety of flavors are tested and tasted. We use locally sourced ingredients whenever possible. 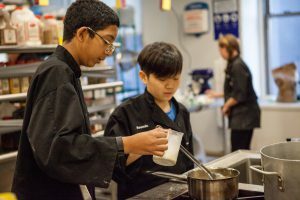 The idea is that students eat the food they cook, just as budding chefs do at the top culinary institutes. This is an amazing and incredible experience for the limited number of students we can accept. 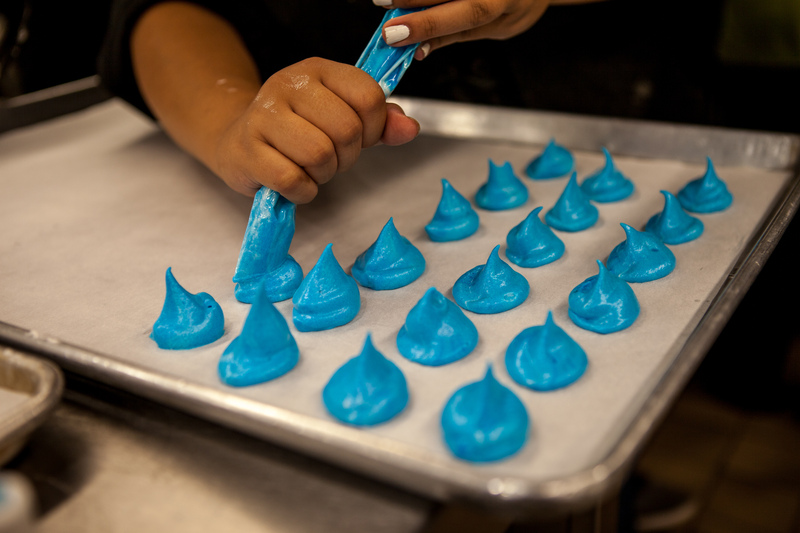 Hard at work – campusNYC is the culinary summer camp high school students love. In addition to the concepts listed above, our chefs go over the day’s recipes with the students ahead of being in the kitchen, and they discuss core critical concepts, techniques and other important aspects of the day’s recipes with the students before they hit the kitchen. This summer we have many confirmed special guests and cool demos planned. 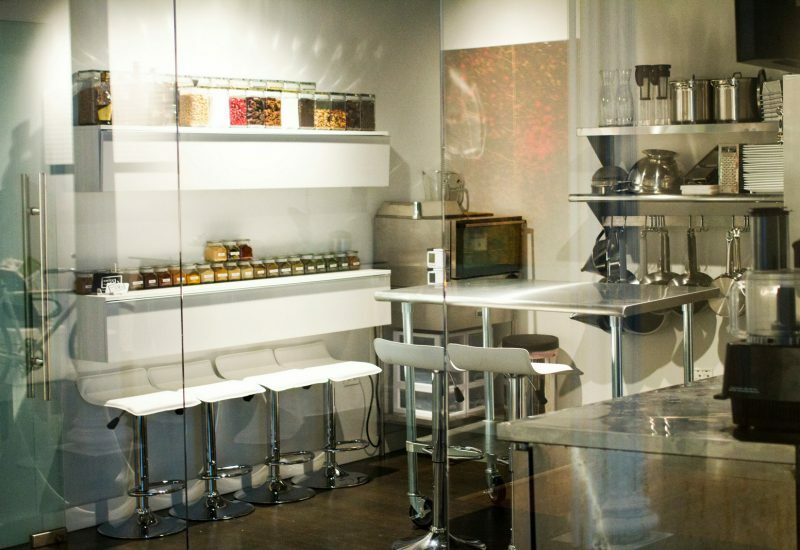 1: Chocolate Tasting: Guided hour and a half of chocolate tastings! Learn how chocolate is made, discover the fascinating and sometimes hilarious stories of the small companies involved in high-end production, and learn to judge chocolate like the professionals do. Students will also blind-taste-test 3 brownies to test their palates in a fun way and learn about cocoa percentage. Lastly, students will compete in a chocolate game! 2: Cheese Tasting: Guided hour and a half dedicated to cheese! From stinky to sweet, from hrad as rocks to soft as warm butter… how cheese is made, where to use it, how to pair it, what they all taste like, why they taste the way they do… a required seminar for anyone serious about culinary arts. 3: Sushi: Hour and a half guided tour of sushi and sashimi. 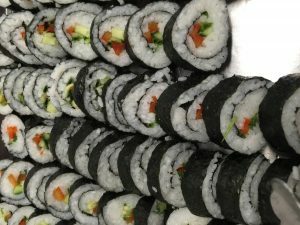 What is it, how to roll it, how to cut it, what to look for, what makes a great sushi roll… what tastes the best… what looks the best… this is a very popular seminar indeed. Come hungry! Demonstrations and Special Guests: We have had food bloggers, food photographers, and other experts talk to us about their craft and how to achieve the best possible results in all aspects (including posting awesome pictures on social media!) Check back or even better call or email us for the latest info on who is visiting, we are adding events all the time. 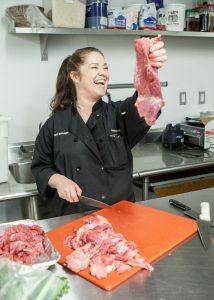 Our beloved Chef Oonagh showing us how to make cuts of meat – and yes we do vegetarian options too – campusNYC is the culinary summer camp high school students love! Put that spoon directly into the sink, please! 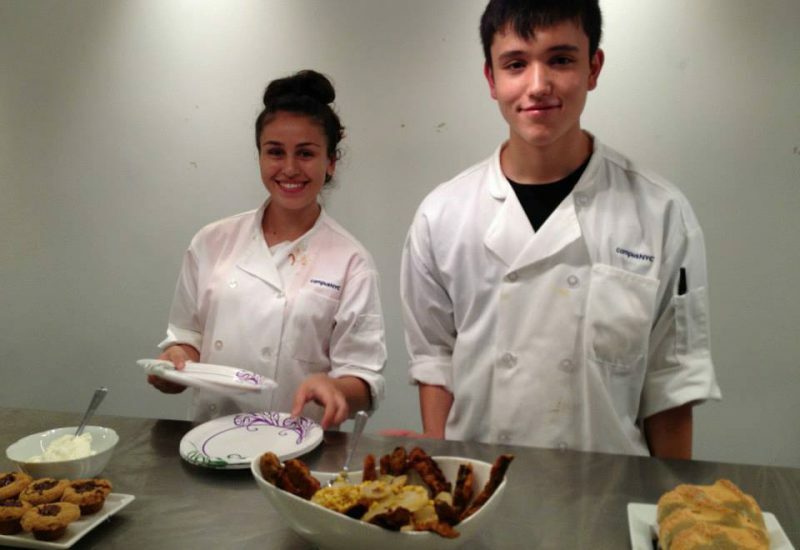 campusNYC is the culinary summer camp high school students love! Each student will have their own binder which they will bring to and from the kitchen each day. They will be given the day’s recipe in addition to any other handouts and information. They will be able to take notes and write down anything important they will need to remember for later. In this way, at the end of the program, they will have their own personalized and unique recipe book, with their own notes, ready to bring their new-found culinary skills home! Last summer the binder started with over 100 full, complete, distinct recipes. And we even added some as the weeks went on! That is a lot of cooking, a lot of learning… and the recipe book is a great resource each student gets to take home with them! We made over 100 recipes last summer, from countries all over the world, Cuba, Ecuador, France, Germany, Indonesia, Thailand, India, China, Japan, USA, and on and on…. 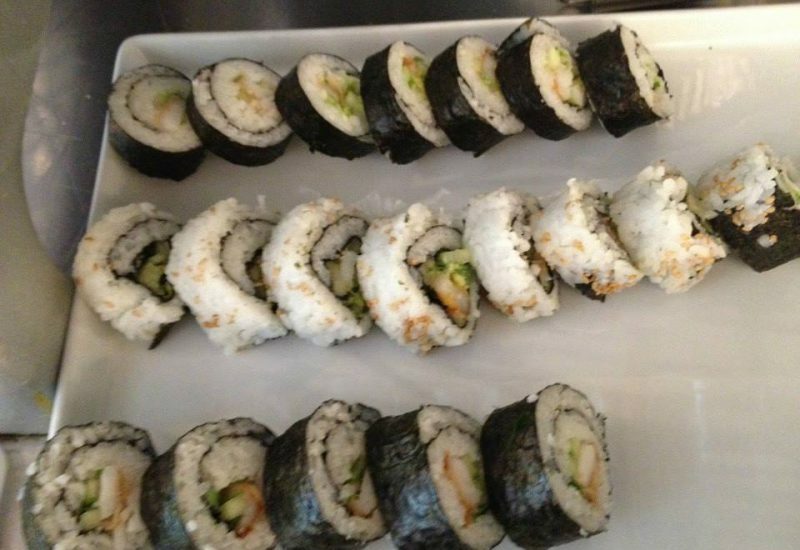 all of these were made by hand, by our students, in the kitchen together from scratch! 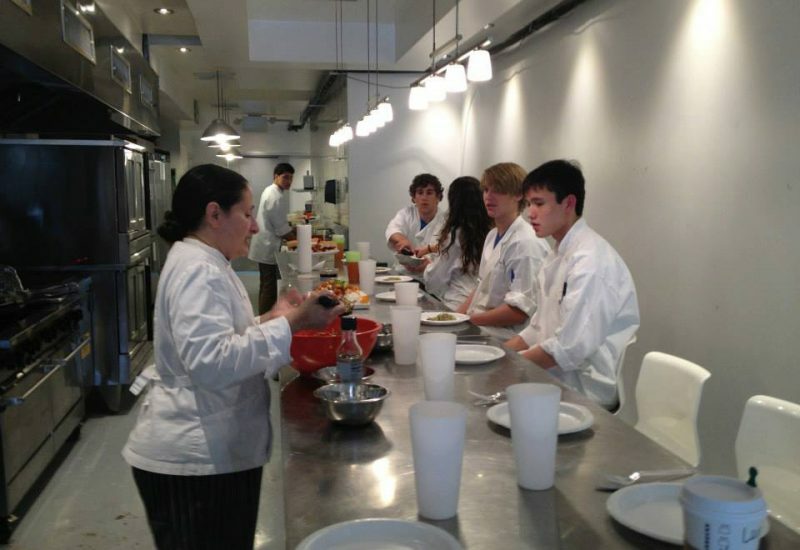 Good times at campusNYC, the culinary summer camp high school students love! Week 1 of the campusNYC experience focuses on safety, the French Brigade system, creating from scratch many sauces, stocks, soups, salads, appetizers and beverages as well as the critical concepts of food presentation, and platings. Week 2 of the campusNYC experience focuses on cuisine by region, grains and starches from around the world, meats and cheeses, formal recipe development, and culminates in our Chopped-style competition on Friday. 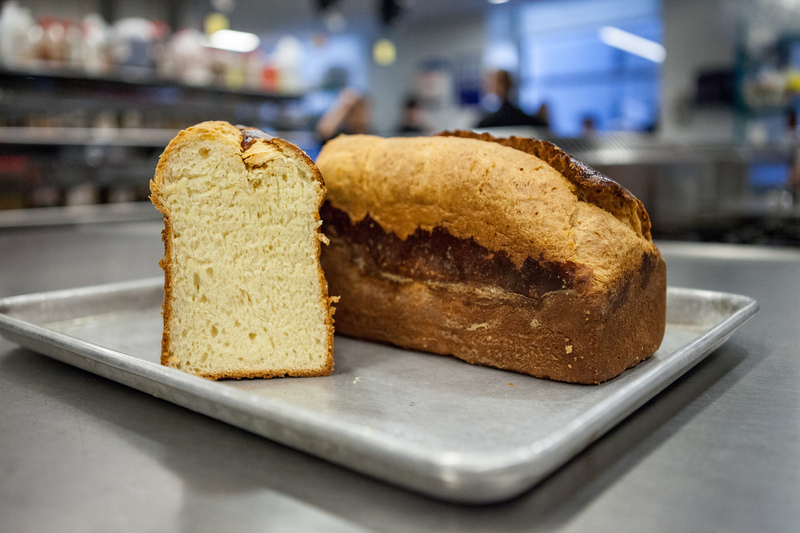 Week 1 of the campusNYC experience focuses on safety, the French Brigade system, creating from scratch sweet pastry dough, glazes, breads, pate a choux, crusts, pies, tarts, pastry cream and more as well as the critical concepts of food presentation, and platings. 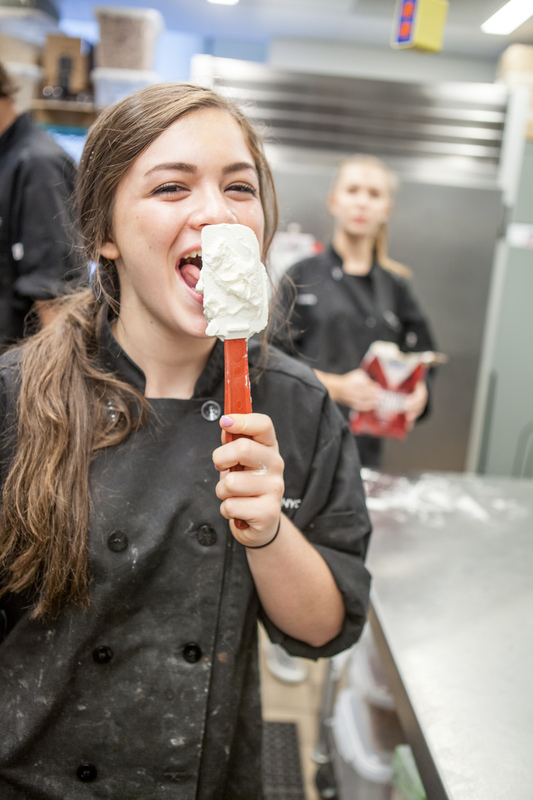 Week 2 of the campusNYC experience focuses on dessert and pastries from around the world and culminates in our Chopped-style competition on Friday. The campusNYC Intensive focuses on full immersion. It’s only one-week long, and we have a whole ton to cover, from kitchen safety (of course) to as many techniques as we can cover and still learn to do well. We still end with a Chopped-style competition, but will be different than the two preceding sessions in that students will be using the day to learn new recipes at the same time they prepare those recipes for presentation to the chefs and judges. culinary summer camp high school students love! Yum! 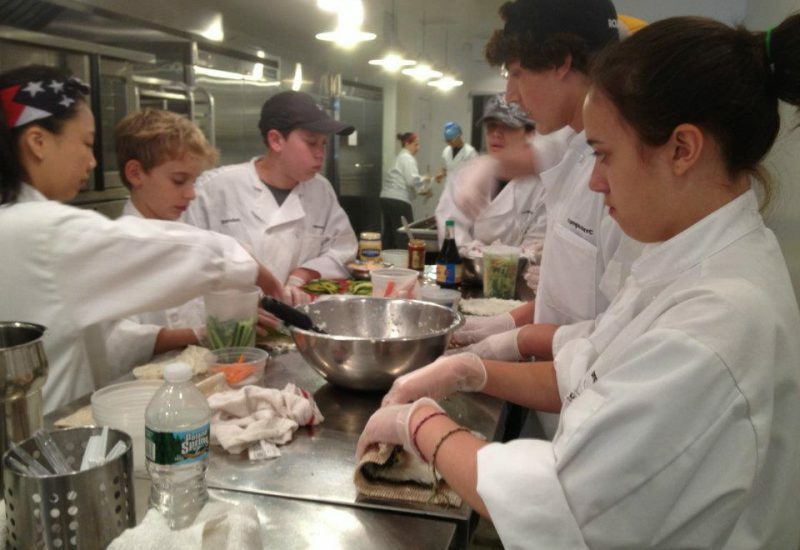 campusNYC is the culinary summer camp high school students love! Delicious! 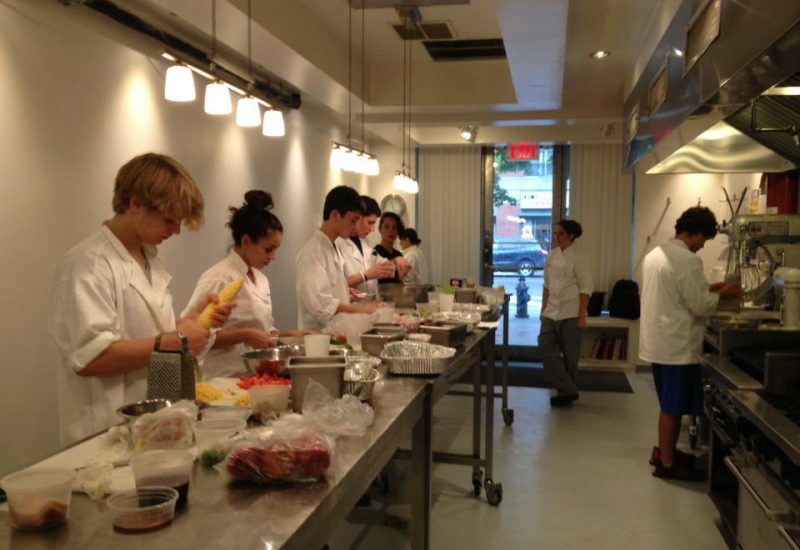 campusNYC is the culinary summer camp high school students love!